Cook the potatoes in a pan of boiling water over a high heat or 15 minutes or until just tender. Preheat the rill to high and grill the bacon for 2-3 minutes on each side or until cooked. Put them on a plate lined with kitchen paper and allow to cool. Mix the mustard powder and vinegar in a bowl and stir in the Quark, yogurt and some seasoning to taste. 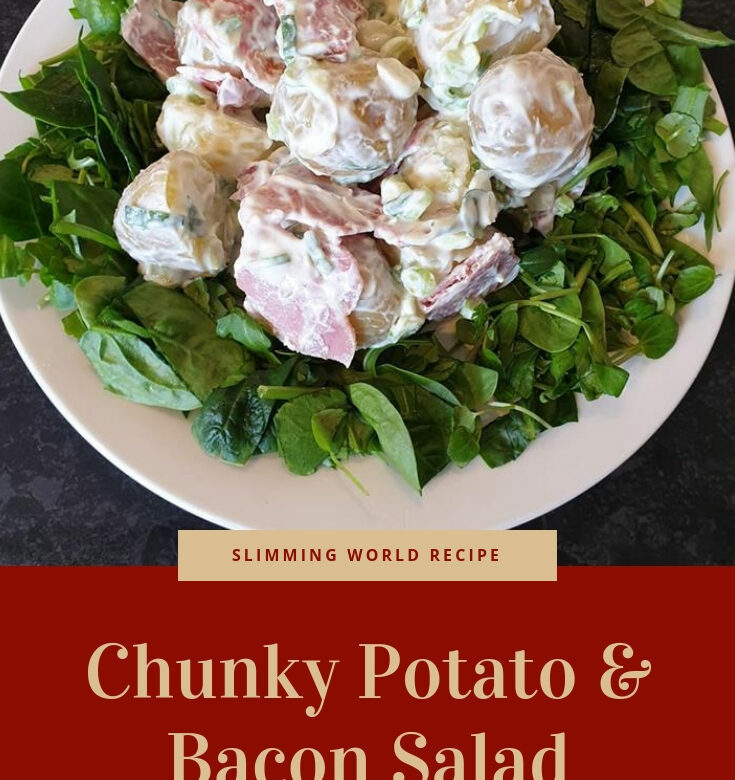 Stir the yogurt dressing into the potatoes and add the bacon, parsley and spring onions. Mix well. Serve on a bed of mixed salad leaves.